Mega Sale! Save 21% on the Rockville REC97 Dual 12'' Ported SUV Subwoofer Sub Box Enclosure - Behind 3rd Row by Rockville at The Met Theatre. MPN: REC97. Hurry! Limited time offer. Offer valid only while supplies last. Rockville REC97 Dual 12'' Ported SUV Subwoofer Enclosure - Behind 3rd Row. Fits Behind 3rd Row, Downfire. Finished with Durable Bed Liner . 3/4'' MDF. Rockville REC97 Dual 12" Ported SUV Subwoofer Enclosure - Behind 3rd Row. Fits Behind 3rd Row, Downfire. Finished with Durable Bed Liner . 3/4" MDF. Air Space: 1.25 Cubic Feet (per sub) . Mounting Depth: 9". Product Dimensions (H x W x D): 13.5" x 42.25" x 16.25" inches. 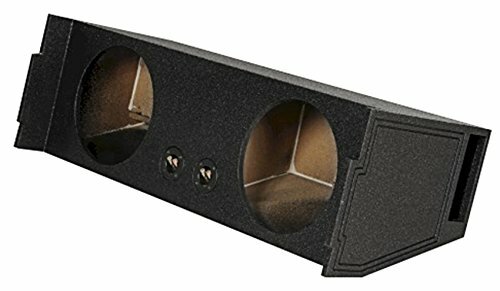 Rockville REC97 Dual 12" Ported SUV Subwoofer Enclosure - Behind 3rd Row.